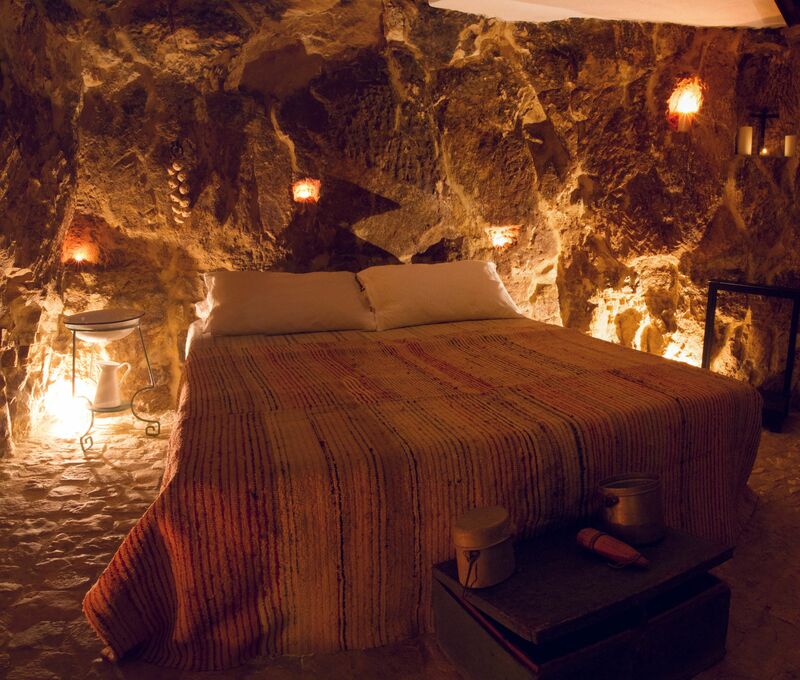 Cave house, on three levels, with clear traces of the promiscuous use of man over the centuries, gives you an emotion entering this house. 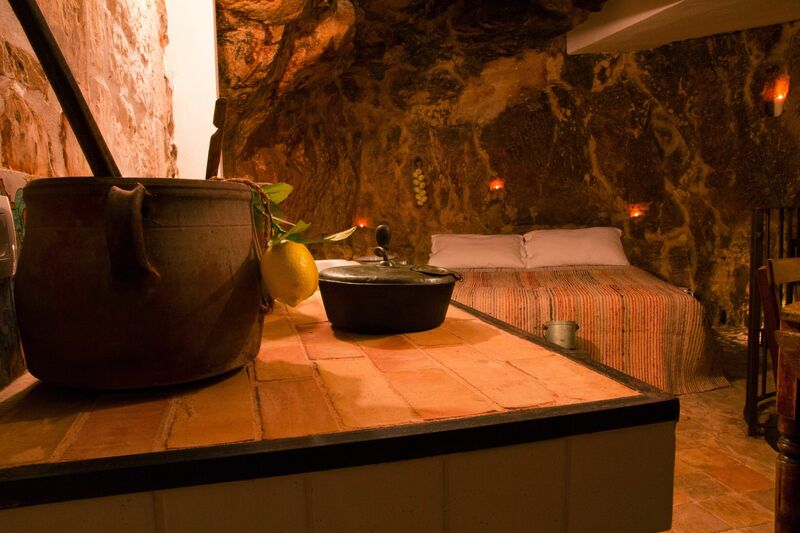 Suggestive cave house, on three levels , about 30 square metres, with a large cave living area , and old terracotta and cuticci ( local small stones) floor and, a double bed built on the foundation of an ancient shrub, a masonry majolica kitchen of the best Sicilian tradition. 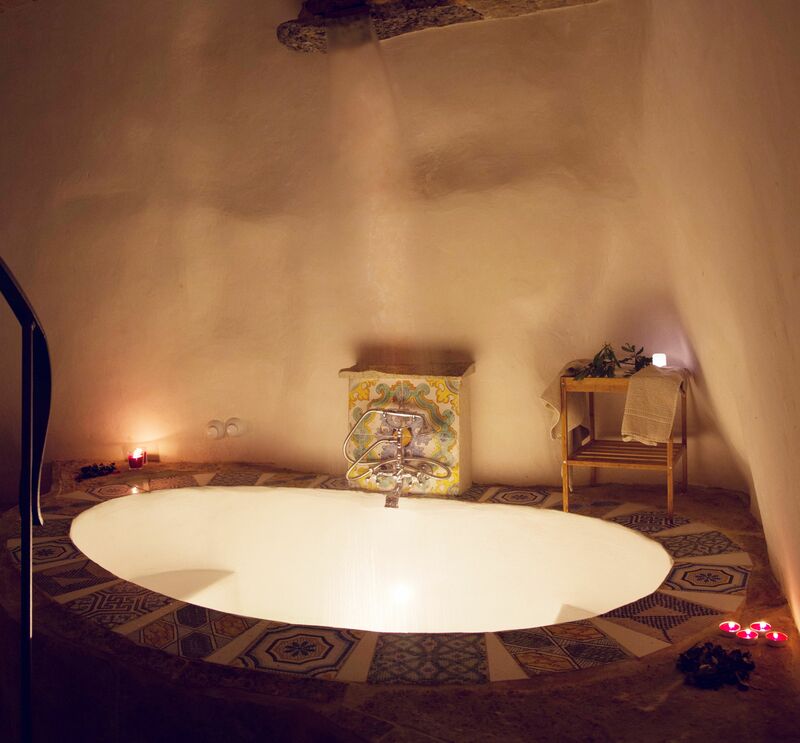 There is also an ancient deep cistern today entirely dedicated to area of relax with a bathtub and a waterfall that gives a great impact of a wellness corner . 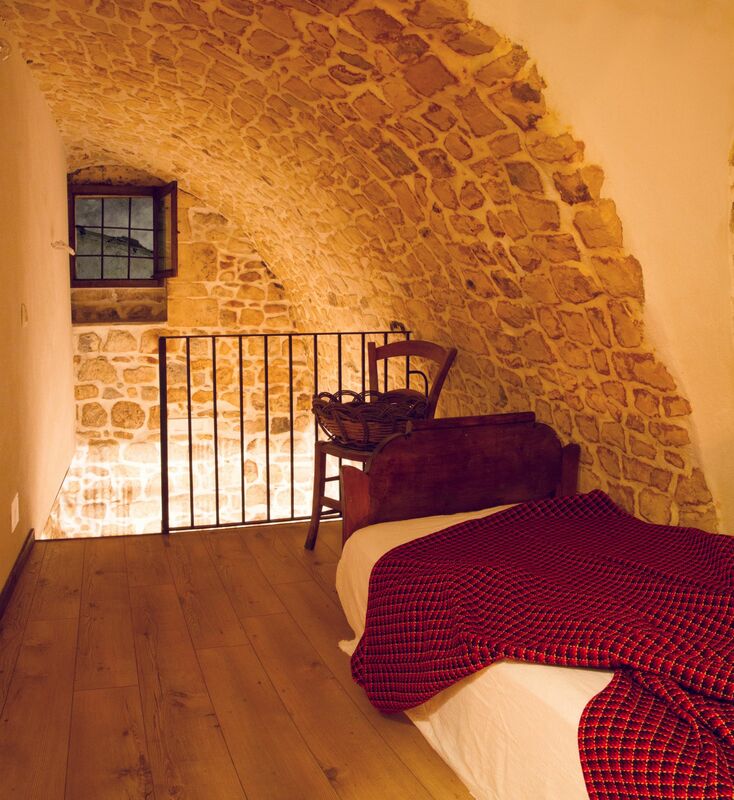 By means a staircase one reaches a very special loft area, with an ancient cave drawn by water canals and with a stone barrel vault . 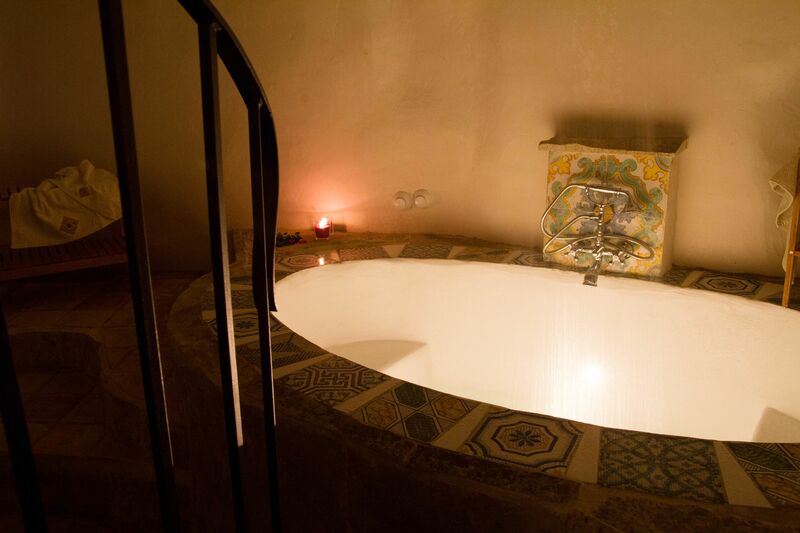 This area is used for a particular bathroom with tub and shower and there is also a children’s bedroom corner. 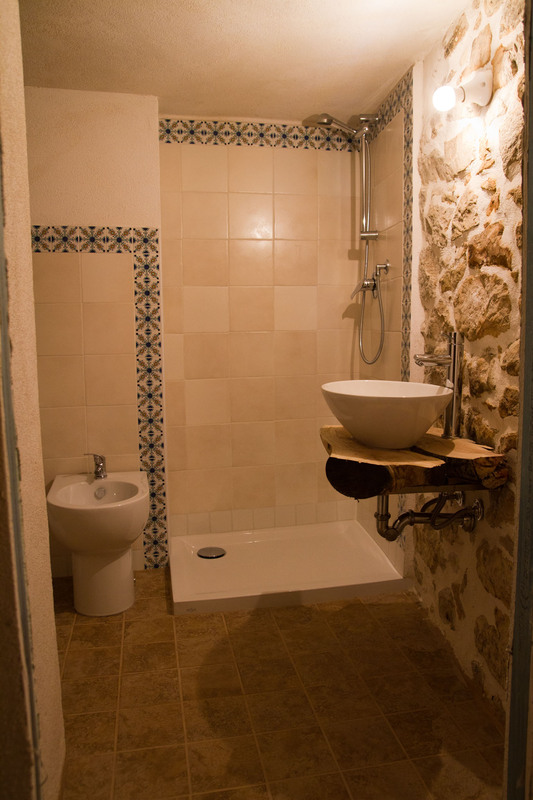 Basic furniture of other times. Bed type: 1 double bed, 1 children’s bed and the possibility to add a cradle or a bed in the living area.